You may not be able to take it with you, but that doesn’t mean you want to give it to the taxman. Fortunately, recent changes mean if you have a UK pension, you don’t have to. New rules now mean someone with a UK defined contribution pension scheme (also called a personal pension – for example, a Self-Invested Personal Pension) are able to nominate anyone to inherit their pension. 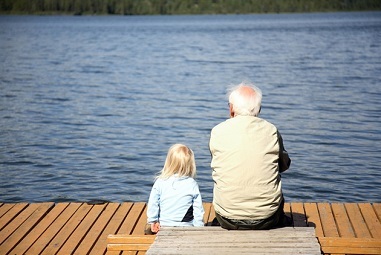 Known as a “nominee's flexi-access drawdown account”, the beneficiary can be anyone, at any age. So, adult children can benefit, and can do so immediately (as can any other person). But the most exciting part is around tax. If you die after age 75, any withdrawals will be taxed at the beneficiary's marginal rate. However, if death occurs before age 75, the beneficiary has a pot of money they can access at any time, completely tax free. In either case, the funds are outside your estate for inheritance tax purposes while they remain within the drawdown account and will continue to enjoy tax free growth (provided that the trustees/managers decide on the beneficiaries and the proportions to each, before the second anniversary of death). UK personal pensions also now allow the transfer of pension assets even further. A beneficiary can nominate their own successor who will take over the drawdown account following their death. This can continue until the pot of money runs out. This means accumulated pension wealth can cascade down the generations, while continuing to enjoy the tax freedoms that the pension wrapper provides. As an expatriate, you have an additional weapon in your arsenal – the option to use a Qualifying Recognised Overseas Pension Scheme (QROPS). As long as you haven’t been resident in the UK during the previous five UK tax years before death, UK legislation does not apply to QROPS benefits (unlike benefits from a SIPP or other form of UK personal pension arrangement). This means your pension from a QROPS can be passed on to a beneficiary tax free – regardless of whether you die before or after you reach age 75. If you want to find out more about how you can accumulate your wealth – complete the form below to download our guide.